We've brought you the latest matches for your hp 351 xl search in Printer Consumables and Office Supplies including these related brands: HEWLETT PACKARD, HEWLETT PACKARD EUROPE B.V..
To enhance your hp 351 xl results you can drilling down by category, or even by changing your product keyword at the top. When you have finished your detective work, you will probably see some great offers on your Printer Consumables products. 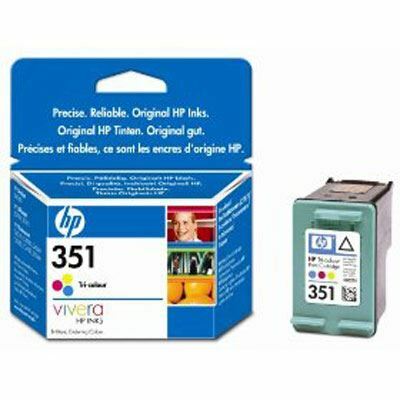 HP No 351 XL Inkjet Cartridge 3Colour High Yield CB338EE HP CB338EE No 351XL tricolour high yield inkjet cartridge. For use with Officejet J5780 and J5785. HEWLETT PACKARD EUROPE B.V.
Refilled HP 350XL Black + HP 351XL Colour Ink Cartridge Remanufactured Inkjet.